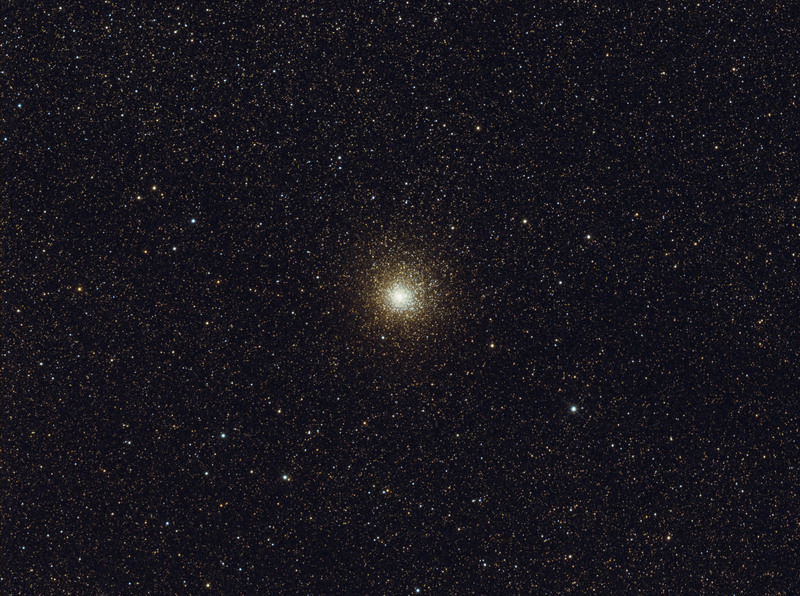 M 62 (also known as Messier 62 or NGC 6266) is a globular cluster in the constellation Ophiuchus. It was discovered in 1771 by Charles Messier. M62 is at a distance of about 22,500 light-years from Earth and measures some 100 light-years across. From studies conducted in the 1970s it is known that M62 contains at least 89 variable stars, many of them of the type RR Lyrae. It also contains several X-ray sources, thought to be close binary star systems, as well as millisecond pulsars in those binary systems. 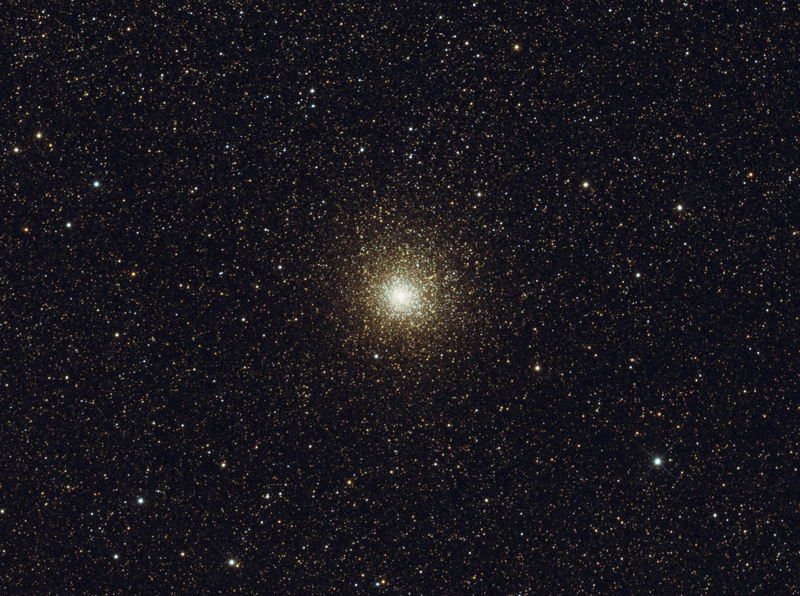 It is one of the most irregular globular clusters, this is probably due to its proximity to the center of the Galaxy (about 6100 light-years). The tidal forces cause the south-eastern area of the cluster to be more concentrated compared to the other.